Navajo Code Talker Alfred K. Newman Sr., 94, passed away on Sunday afternoon in Albuquerque, according to his son Kevin Newman. Pvt. First Class Newman was originally from Whiskey Creek, north of Crystal, New Mexico, and joined the Marine Corps after hearing about the attack on Pearl Harbor. 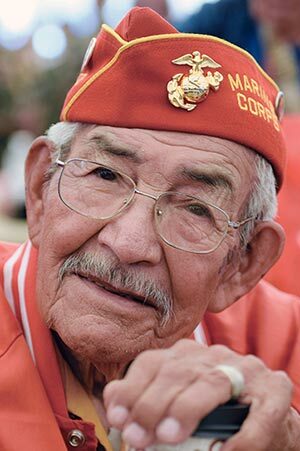 There is no official count of how many of the Navajo Code Talkers are left who served during World War II, but most agree there are less than 10. No funeral date has been set.